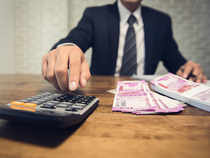 Business News›Markets›Stocks›News›TCS or Infosys: Which stock can deliver post Q4 results? Both companies announced their financial result on the same day for the first time ever. Sharekhan said TCS’ earnings performance for Q4 looked relatively better as Infosys disappointed on the margins front. Dalal Street analysts remained bullish on the country’s IT majors Tata Consultancy Services (TCS) and Infosys after they gave March quarter earnings season a smart start on Friday. While Infosys reported a 10.5 per cent year-on-year (YoY) increase in consolidated net profit at Rs 4,078 crore and guided for 7.5-9.5 per cent revenue growth in FY 2019-20, TCS posted 17.7 per cent growth in March quarter profit at Rs 8,162 crore. Infosys witnessed 19.1 per cent rise in revenues at Rs 21,539 crore in March quarter from Rs 18,083 crore in the year-ago period. TCS’ net sales climbed 18.5 per cent to Rs 38,010 crore from Rs 32,075 crore in the year-ago quarter. “We have tweaked our earnings estimates for FY2020 and FY2021 for Infosys, factoring in lower-than-expected margin guidance for FY2020 and a change in USD/INR rate. With robust total contract value (TCV) signings and improving business visibility, we believe Infosys would gradually catch up on revenue growth with TCS in FY2020 and in turn would narrow the valuation gap with TCS going forward,” the brokerage said. The brokerage firm, however, maintained ‘buy’ call on Infosys and TCS with a price target (PT) of Rs 840 and Rs 2,400, respectively. Both companies announced their financial result on the same day for the first time ever. Where TCS announced a final dividend of Rs 18 a share, Infosys said it will pay a final dividend of Rs 10.5 per share. The duo showed sustained momentum in earnings from digital solutions. TCS and Infosys earned 31 per cent and 33.8 per cent revenue from such services in March 2019 quarter. In the corresponding quarter of the previous financial year, each had earned over one-fourth revenue from the digital platform. The rising share of these services is encouraging since it makes the offerings of Indian IT vendors relevant to clients’ demands. The Infosys management has cut its EBIT margin guidance for FY2020 to 21-23 per cent from 22.8 per cent during FY19 from an earlier guidance of 22-24 per cent for FY2019. The negative surprise on margin guidance is due to continued investments for future growth which includes enhancing digital competencies, large deal capabilities and localisation. However, the management said aggressive investments on sales revitalization are completed and the pace of investments will be less intensified in FY2020E. The TCS management has alluded at continuing of growth momentum in FY2020E, despite witnessing macro challenges in the environment. On the margin front, management has maintained the aspirational margin band of 26-28 per cent, despite visa challenges. “TCS posted in-line revenue and margin performance, marked by strong deal wins,” said HDFC Securities. The brokerage is bullish on TCS with a target price of Rs 2,385. Mohit Jain, Research Analyst-Technology & Media-Institutional Equity, Anand Rathi Shares & Stock Brokers, said EBIT growth (17 per cent YoY) of TCS is broadly in line with rupee revenue growth (19 per cent) YoY which basically means no margin expansion despite currency depreciation of around 9 per cent. “This could potentially be on account of increasing competitive intensity in the business. Revenue per employee remained largely stable (up 1 per cent YoY in dollar terms) during this period. However, valuations of the company look rich with the stock up 28 per cent in the last 12 months,” it said. TCS shares settled 0.26 per cent down at Rs 2013.75 on Friday, while Infosys closed 0.63 per cent up at Rs 747.85. TCS scaled its life-time high of Rs 2,273 on October 1, 2018, while Infosys hit its record high of Rs 773.70 on April 9, 2019.